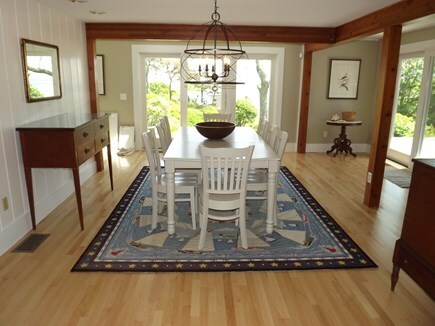 Views of Atlantic from this Updated Shore Road Home. 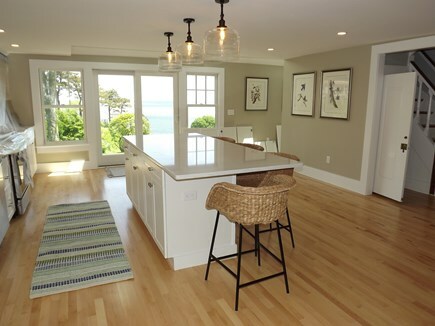 View of Atlantic From the Deck, Kitchen and Living/Dining Areas. Huge Family Room with TV, Card/Game Table and Pullout Sofa. 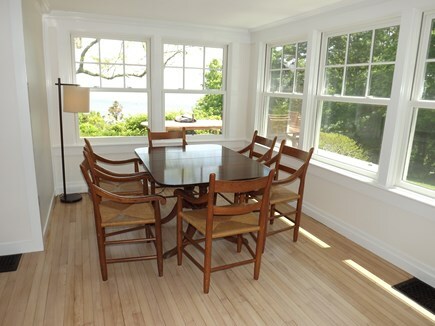 Card/Game Table in Family Room with Sunshine Galore! Dining Area open to the Sitting Area (with TV). Brand New Kitchen (picture shows cabinets still being installed). Second Level King Master with Brand New Bathroom. 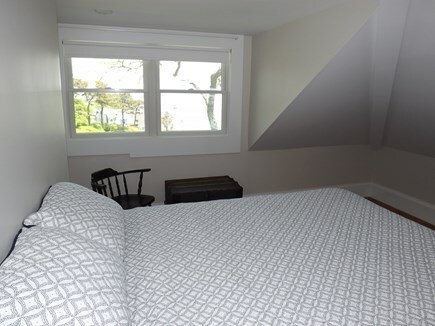 Second Level Queen Bedroom (with views). 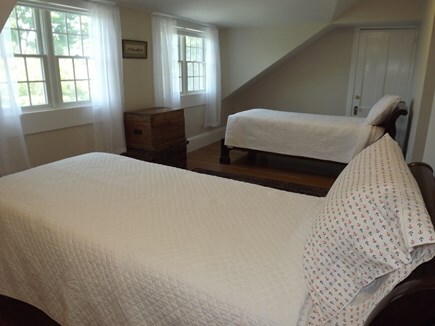 Second Level Twin Bedroom #2. New Deck Furniture and Gas Grill. 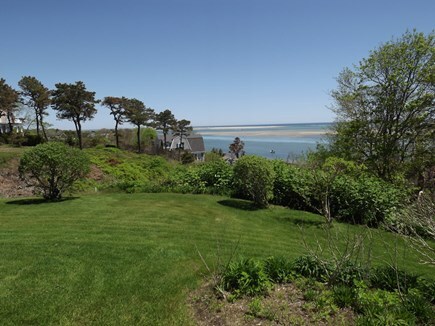 View of the Atlantic and Beyond from the Side Yard. View of The Brand New Deck. NEW LISTING! 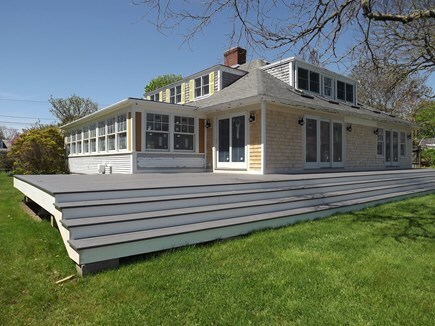 This iconic 4 bedroom, 3 bathroom Shore Road home has just undergone a major renovation and is ready to welcome summer visitors! 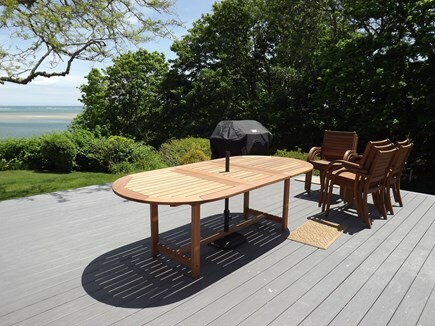 Breathtaking views of Chatham Harbor, North Beach Island and the Atlantic Ocean abound from the expansive deck and lushly landscaped yard. 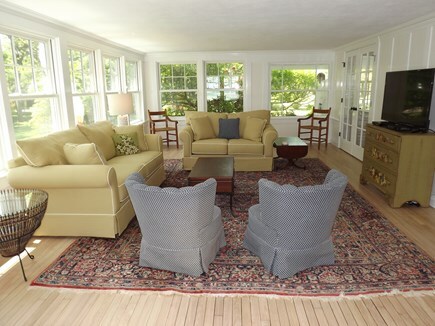 First floor living at its finest with gourmet kitchen, living room, sun room and den. All four bedrooms and two full bathrooms are located on the second floor. Additional photos will be posted once renovations are finished. 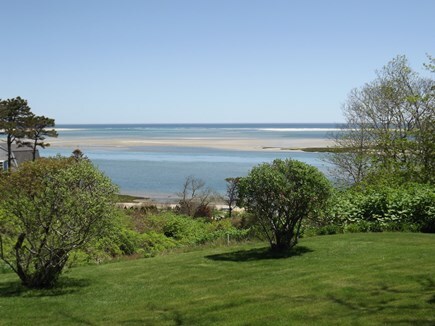 Walk to Chatham Bars Inn for lunch on the veranda or pick up fresh seafood at the Municipal Fish Pier close by. Catch a seal tour or try a fishing trip on one of the charter boats departing from the pier. 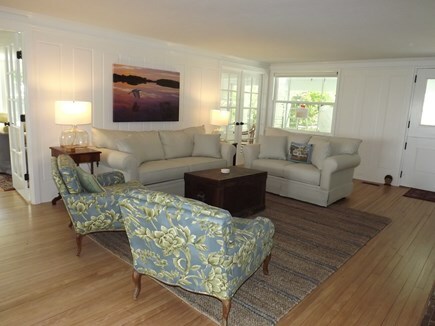 Stroll to the restaurants, galleries and boutiques on Main Street or take in one of the Chatham Anglers' baseball games. 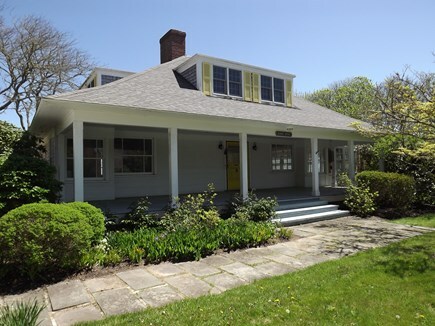 This sought-after location is the perfect place to enjoy your Chatham vacation! 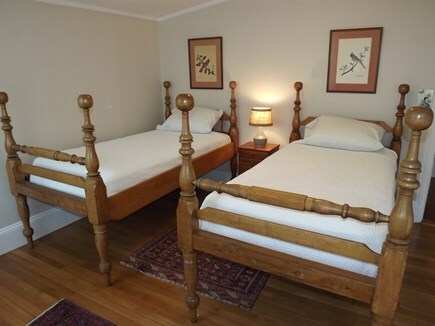 Amenities include central AC, Wi-Fi, washer, dryer, dishwasher, comfortably furnished deck, dining table with umbrella, gas grill and outside shower. 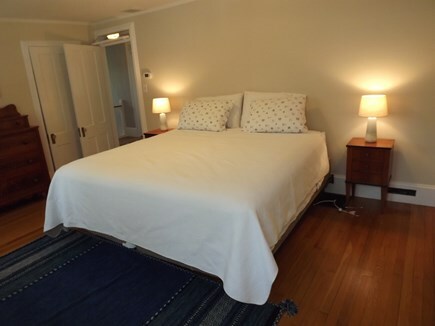 Linens, bath towels and beach towels are included. This property has a $75 administration fee, $150 accidental damage protection fee and $385 cleaning fee.